Getting your camera to move while doing time-lapse movies is not a trivial thing. First you need to set a path for the camera to move in (like a slider, a dolly or a skateboard), then you need to make the camera move slowly, and lastly you need to get the camera to shoot at the right intervals (using an intervalometer). While there are plenty DIY solutions out there (especially for the slider and intervalometer parts), building a controlled time-lapse dolly is not trivial. The Genie is a New Zealand based project set to change that. The Genie’ claim to fame is to be A simple, affordable and extremely easy to use device used for motion control and image capture for Time Lapse Photography + more. To do so it uses a smart rope pulling mechanism that makes it real easy to get control of any sort of already moving device (say a slider). 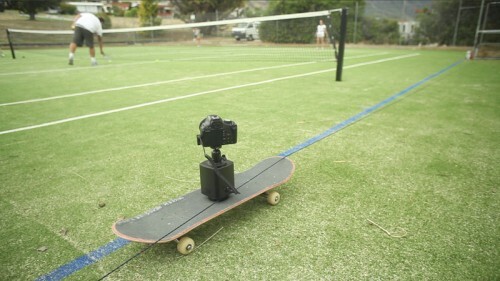 The Genie will control both movement and camera triggering, so it moves time-lapse movies from complicated to simple. 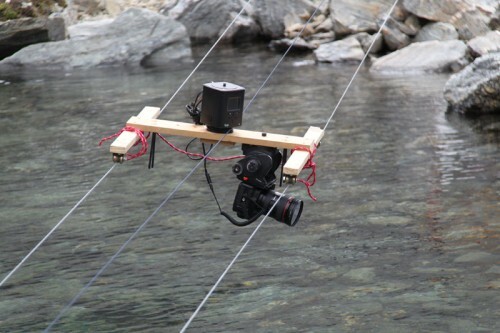 And you have to admit, pulling a camera on a DIY Cable Cam over 60 feet of lake is really cool. If a Genie is what you desire say goodbye to $690, and see how the ambitious goal of funding $150,000 gets closer. With this high of a funding goal I am interested to see how they go.